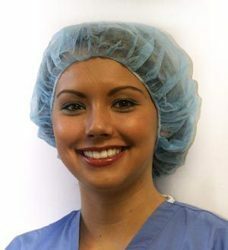 Leading Manufacturer of bouffant cap and disposable surgeon caps from Mumbai. we are leading manufacturer of Bouffant Head Cap. The whole range of these caps is broadly utilized in a wide range of applications. In order to cater the varied demands and needs of our valued clients, these caps are available in different sizes. Our quality controllers rigorously checked against varied quality parameters. Offered products are highly demanded by our precious clients. We are engaged in providing superior quality array of Disposable Surgeon Cap, which is made from quality grade material. Widely used in food processing industries and hospitals, the offered range is provided high comfortable. These caps are checked for their perfection before the final dispatch. Looking for Disposable Cap- Bouffant Head Cap ?